Save time and hassle with our easy-to-use, mobile-friendly survey tool. Building surveys should be simple and quick. Use our intuitive, drag-and-drop builder to create beautiful, branded surveys in no time. 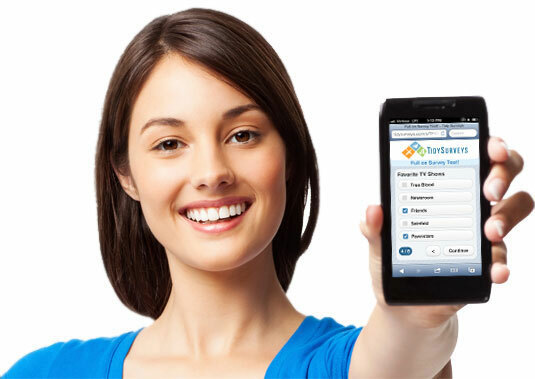 Your audience is mobile, are you? Deploy and share your surveys from anywhere and across all platforms. Analyze your results and get real-time insights with graphically rich reports or export your data to spreadsheets. Feedback you can act on. Now you get the feedback and insights you need in one place for campaigns, events, products, projects, and more. Whether you're a small non-profit organization or a large corporation, TidySurveys' cost-effective real-time Mobile Survey Tool will simplify and streamline your customer feedback efforts. 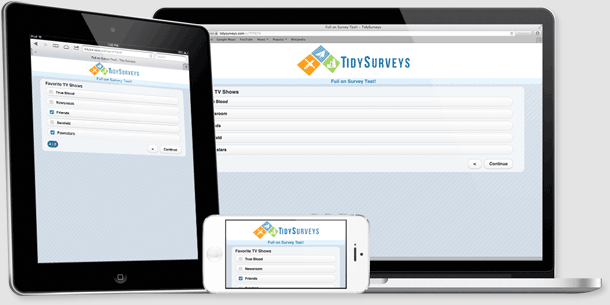 TidySurveys makes it easy to create attractive mobile surveys, requiring no design or technical skills. Build stunningly simple, mobile-friendly, drag-and-drop surveys. Deploy and share beautiful surveys in seconds from anywhere. Collect and analyze customer feedback in real-time. Get valuable insights on satisfaction, engagement, productivity, and more. 15-Day Money Back Guarantee. No Questions Asked. Advanced features including custom integration tailored to your organization's needs. High-volume Pro Account with all of the bells and whistles. Our Most popular account. Straightforward, affordable and full of features. If you need just a little more than free, with all of the features, try the Starter. Curious what makes us better? Go ahead, try us out!